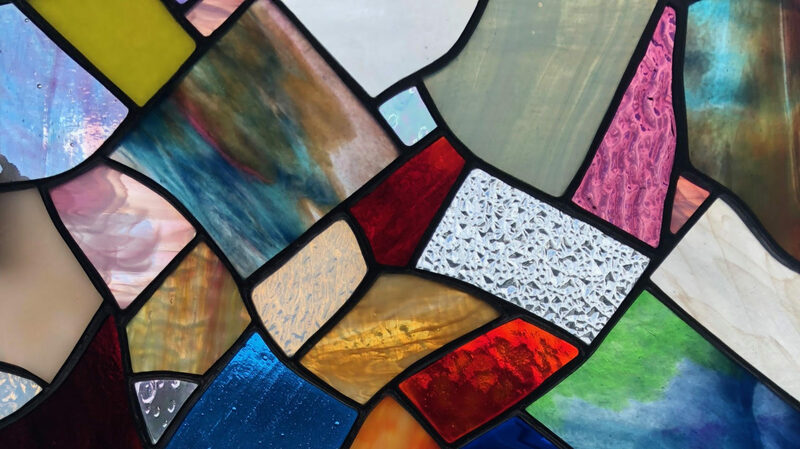 We provides stained glass, supplies, and tools to avid artists and hobbyists alike. Lessons for beginners are available, as well as studio time for established students and artists. An artist in stained glass and graphite drawings. Utilizing a background of art, Pat is inspired to design original pieces of stained glass art. "I am the daughter of the late Jon Formo, teacher, sculptor, potter, glass blower, painter, and Professor of Art at the University of South Carolina and the late Bettye Formo, seamstress and home decorator. My dad inspired me from a very young age to draw and create my own designs. In fact, when I was a little girl, I did not have coloring books...instead, he encouraged me to draw my own pictures, and then color them! This background of creative imagination and design has allowed me to expand from the more traditional stained glass art to three-dimensional pieces using unique objects (such as oyster shells, glass plates, and candy dishes) in nontraditional ways. I have worked in stained glass since 2000, first from my home studio and now from the studio, Glassie Ladies." The qualities of being a musician (voice, guitar, and piano) and participating in her church choir have enhanced the artist's imagination. Having lived in Europe and many locations in the United States, she has settled in South Carolina with a plethora of experiences to draw from for her original creations. In specialized instructional classes through the Glassie Ladies studio, she shares techniques gleaned from instructors, fellow artists, and personal experiences. Pat teaches the Tiffany copper foil method in stained glass at Glassie Ladies. She works with customers who are interested in specialty commissioned pieces, designing the customers' visions into beautiful pieces of art. The copper foil method is taught and used to ensure your window panel lasts a lifetime and beyond, without the need of restoration. Quality craftsmanship is the utmost priority at Glassie Ladies.